Can I start by saying how much I LOVE the packaging of these masks?! They are so cute - I love the eyelashes, lips, and little accessories that they are wearing! Plus they also come in an adorable little package too! So adorable! This mask is also called "a guardian angel for your skincare routine" - sounds like big shoes to fill for a mask! This does sound like it's great to use right before bed, which is typically when I wear my sheet masks! 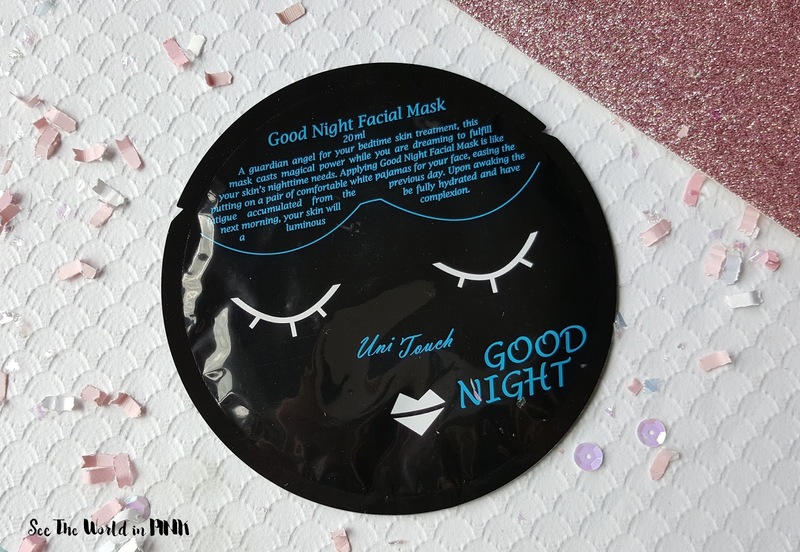 This mask is easy to use - wash face, tone skin, apply mask, wear for 15-20 minutes, remove mask, pat the remaining essence in to skin, complete skincare routine, and go to bed! I was surprised to see that this was a black mask - I love them! This mask is an amazing material! It is a nice thin mask material and it adheres so well to the face. Actually, I will say that fits perfect on my face! It has a slightly creamy essence, and is well soaked in essence. It actually lasted for about 45 minutes on my face and made my skin feel really soft (especially the next morning!!!) This was great! This sounds like a perfect mask to have around in the summertime! I love a soothing mask and that is exactly what this sounds like this will be! 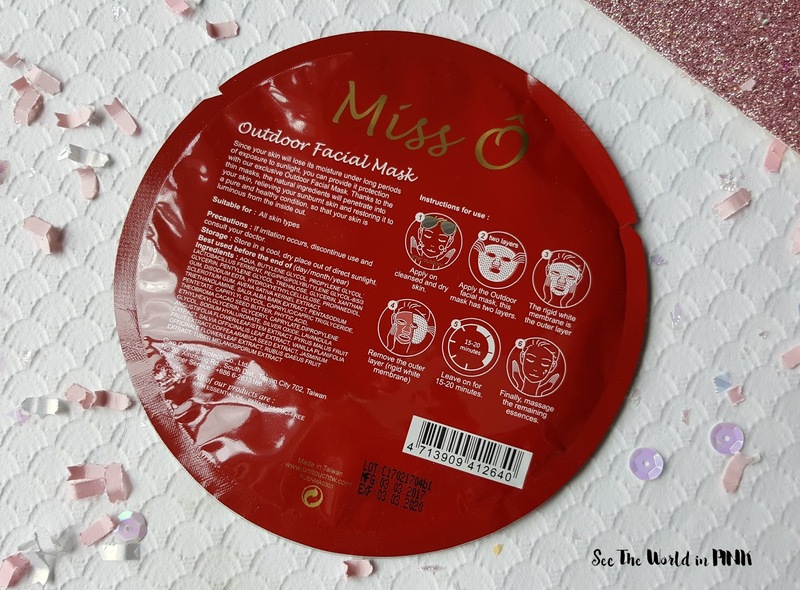 This mask is easy to use - wash face, tone skin, open mask, apply mask to face, remove the outer layer, smooth mask on to face, wear for 15 - 20 minutes, remove mask, pat remaining essence in to skin, and complete skincare routine. This mask has a very thin material and a gentle scent as well as the night time mask. This fit a little bigger than the other mask. It had a lot of essence and lasted almost an hour on my face. This was cooling and relaxing on my face! I think these would be great to bring on a beach vacation after an especially long day in the sun! 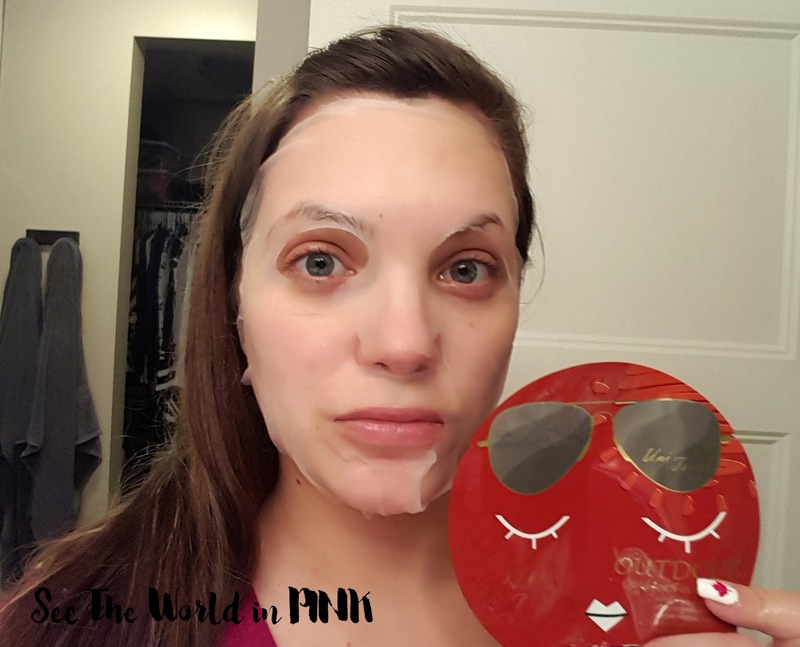 I was really impressed with the Unitouch Miss O masks - my favorite was the Good Night Facial Mask! I will absolutely buy this mask again. 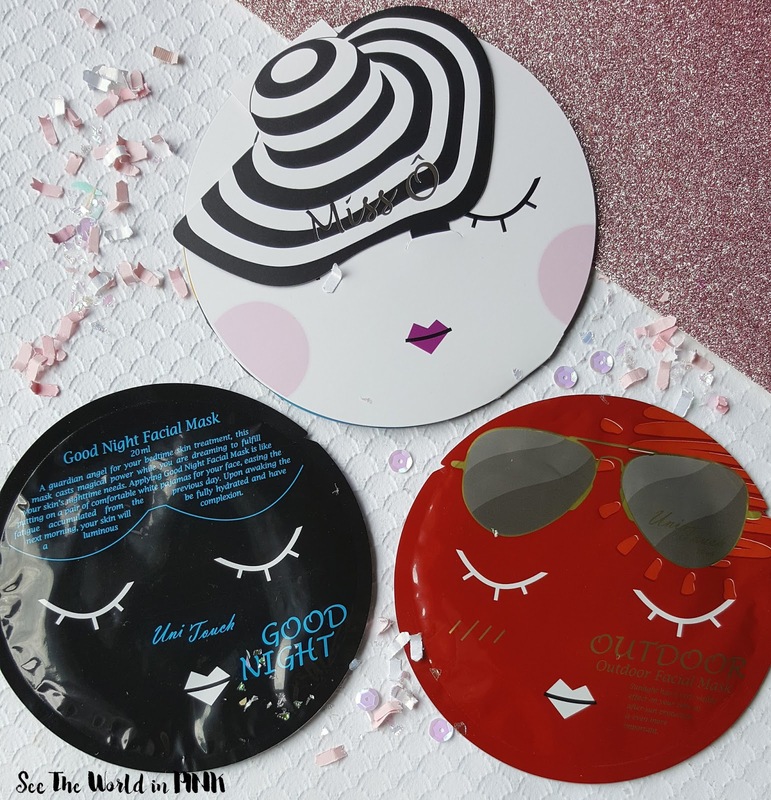 There is a couple other masks that I HAVE to try from Unitouch - their Makeup and Relax masks! I will be placing an order for more of these soon! *Products provided in exchange for a review - all opinions are my own. Also, this post contains referral links. 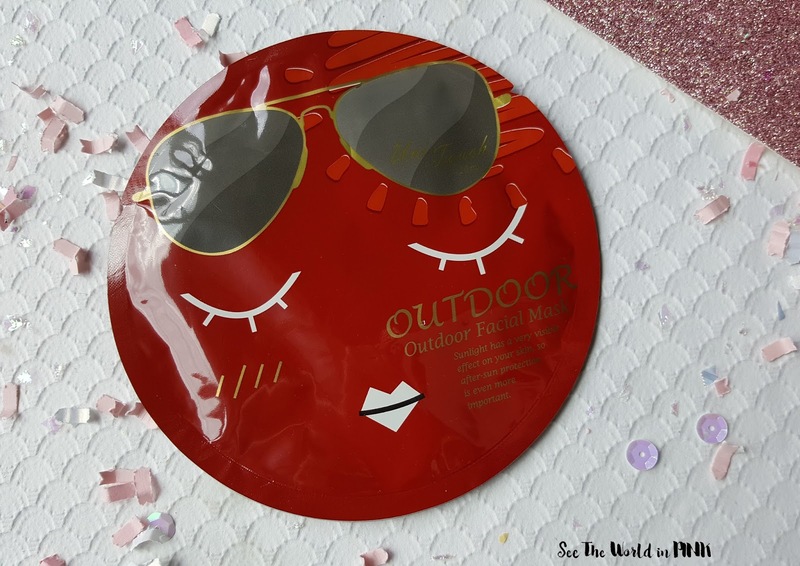 That outdoor mask sounds PERFECT for summer!